Jean George hadn’t thought she would earn an MBA. She became more exposed to the idea when her brother was working on his own MBA applications. She was happy for him but at that point she was not entirely sure why he thought it was necessary – he was already an engineer with a busy consulting schedule. “Watching my brother embrace change forced me to analyze my own professional life. I had become very routine and I was a bit too comfortable. Looking back, I was definitely bored,” she said. One of the most valuable aspects of the Global Executive MBA are the people you meet in your class. “I have been able learn just as much, if not more from my peers as some of the classes. Doing an MBA you are able to connect with individuals you may have never come across on your own. One of the courses, capstone, emphasized this action of connecting with individuals outside your direct network.” The capstone project involves applying what you’ve learned in your MBA to a real work problem. Jean’s class was asked to interview individuals based on the topic they were assigned. Daniel Mulet, the Associate Director from the Creative Destruction Lab, worked in the field and was one of the individuals she interviewed. After their conversation he suggested she meet their team, and not long after she became their Marketing Manager. “I’m happy to see that I do have a place in the tech sector. Being an entrepreneur, I like the start up space. It’s a little bit messy, the borders are not very well-defined, but I enjoy it. I’m happy to know that there’s a space for someone like me who isn’t an engineer. I’ve been able make a change in my line of work before graduating. That’s a good feeling.” This all came about by having a thirty minute conversation with someone outside of my network. A member of the Rotman team is always available to personally review your resume and provide one-on-one advice about making your application as strong as possible. Make 2018 the year you earn your MBA. This entry was posted in Careers, Global Executive MBA and tagged Current Students, Entrepreneurship, In their own words, Job Search, Networking, Powerful Network, Theory in Practice, Women, Working Professionals on January 24, 2018 by Rotman ME-MBA & MFin. Whether your 2016 professional goal is to land a promotion in your company or get a new job, there is one skill that can help you: Networking. Networking might seem overwhelming, but it’s nothing more than connecting with people with whom you have something in common, in this case, an industry or a career. It is also a critical skill in today’s job market. Research suggests that 80% of jobs are obtained through networking. This makes sense when considering that, on average, companies receive 250 applications per job posting. Hiring someone you know is simply a more efficient way of recruiting, making networking the key to a job seeker’s success. From attending industry events to meeting someone for a coffee chat, there are various ways to network. But how do you get better at it? Engage. Attending an industry event or connecting with a former colleague? Be engaging to be memorable. Use LinkedIn; prepare questions and answers—remember that this should be a two-way conversation. It is certainly important to have an elevator pitch ready, but you can’t forget to listen. Listening can help you find out how you can be useful to others and create a stronger connection. Reciprocate. Sometimes helping others is the best way to create connections that will turn into job success in the future. You may connect a friend or former colleague with someone you know; in turn, they may also be introduced to new people through this connection that you previously didn’t know, potentially extending the reach of the overall network for your colleague and yourself. Appreciate. Whatever you do, don’t forget to say thank you. This is especially true after attending informational interviews or coffee chats. People have taken time to meet with you, so you should demonstrate that you value their time and what they’ve shared with you. It is always a good idea to send a thank you email or, even better, a thank you card. As a working professional studying at the Rotman School of Management you can count on tailored Career Services and resources that can help you improve your networking skills. Be sure to connect with us or attend one of our events to learn more. For these and other tips check our blog regularly this year. This entry was posted in Master of Finance, Morning & Evening MBA and tagged Career Services, Events, Job Search, Networking, Tips & Advice, Working Professionals on January 7, 2016 by Rotman ME-MBA & MFin. 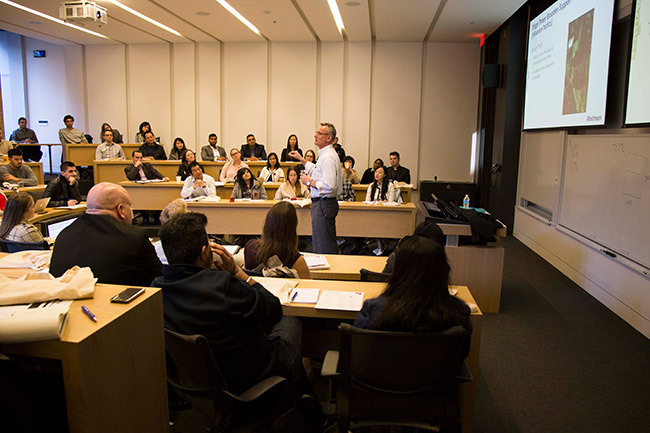 Students in our part-time MBA programs have access to a range of strong and efficient career services and tools during their time here at the Rotman School of Management. Dejan Knezevic is a recent graduate of our Rotman Evening MBA program for working professionals who also successfully navigated a job search while taking full advantage of our career services offerings. In this blog post, he gives us his top three pieces of job search advice. 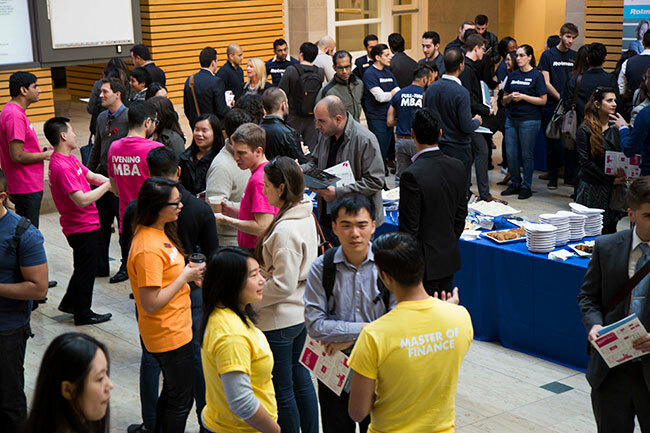 Students in the Rotman Morning & Evening MBA programs have access to a wide range of career services. I found career coaching for behavioural interviews crucial if you are looking to move your career in a different direction. Additionally, I strongly encourage everyone to leverage the many online tools and videos that are available to you through Rotman’s career services. As an example, this is an online seminar that will teach you a very effective framework to help you become much more efficient during your job search. I cannot stress how important this is; take the opportunity meet both alumni and non-alumni. The more you network, the better you will become at it. You will definitely get better at asking the right questions over time. As I went through this process, I learned quickly that meeting multiple people from one organization will give you a good feel for the culture of that organization, which is hugely important. The job search is a consuming process. 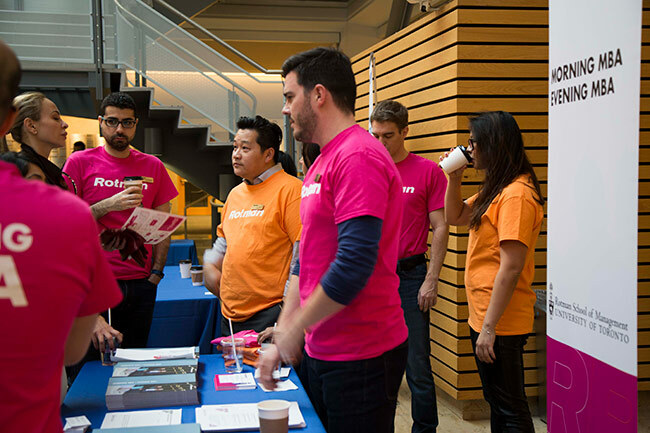 Take advantage of Rotman’s career services to guide you through it. Make sure that you have a focused, tailored approach that will allow you to be effective in pursuing organizations and industries that you are truly interested in. 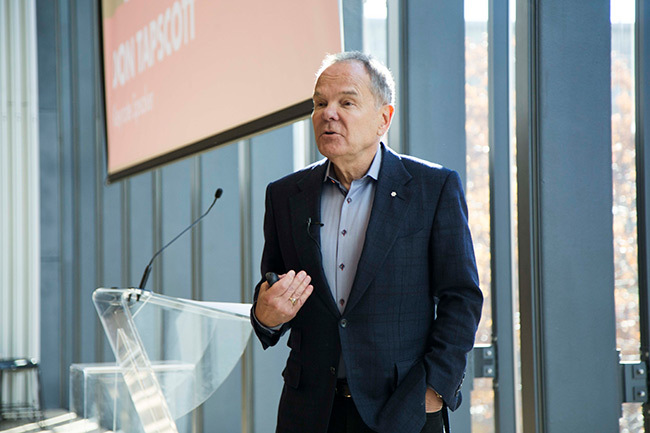 This entry was posted in Careers, Morning & Evening MBA and tagged Alumni, Career Services, Job Search, Networking, Part-Time MBA, Powerful Network, Working Professionals on July 27, 2015 by Rotman ME-MBA & MFin. Marnie Consky is Lead, Career Services for Working Professionals, Morning & Evening MBA and Master of Finance Programs. Out of office email message: set up an out of office message if you’re going to be away on vacation or unreachable for a period of time. Thank the sender for their message and indicate when they can expect to hear back from you. No need to state your first day away, just when you’ll be back. Email signature: Your email signature should include your first and last name, the year your degree will be conferred (e.g. MBA Candidate 2014), name of your school, phone number and email address. Also consider including your LinkedIn URL and ensure that your profile is consistent with your resume and cover letter. Thank you note: whether you’re sending a handwritten note to thank someone for an informational meeting, emailing company representatives that you met at an information session or emailing your interviewer(s), be mindful of what you say and how you say it. Keep it short; reiterate your appreciation of their time and your interest in the company/role as appropriate. It goes without saying that how you communicate on social media platforms (LinkedIn, Twitter and Facebook) is also of equal importance. Be aware that what you post online is public and searchable, even in cases where you’ve gone some lengths to protect your privacy. Be mindful of what you’re posting and of who might be reading it. This entry was posted in Careers, Master of Finance, Morning & Evening MBA, Morning MBA and tagged Job Search, Networking, Tips & Advice, Tuesday Tips on August 26, 2014 by Rotman ME-MBA & MFin. Interviews can be nerve wrecking, and acing that particular interview could be the stepping stone to the career path of your dreams. Annette Filler is a Lead and Career Coach with Career Services for Working Professionals here at Rotman. Yesterday, the career services monthly workshop offered some valuable advice for our Morning & Evening MBA and Master of Finance students on acing your behavioural interview. Remember to dress and groom for success! Behavioural Interview Questions: What are they? Interviewers use behavioural interview questions to assess leadership, problem-solving, analytical thinking, time management, communication and interpersonal skills. Candidates need to prepare examples and stories that demonstrates the themes mentioned above. In addition, as a candidate, you should prepare examples and stories for additional key competencies that are outlined on the job description. Your confidence in your presentation, and belief that you’re the best candidate for the role is paramount. It’s important to practice responses out loud. Practice with classmates. Practice with family. Practice with friends and Career Services. Practice so you’ll have a flow and can articulate your examples clearly and concisely. The flip side is of course, don’t memorize examples verbatim as you might sound too rehearsed an unnatural. And, once you’re in the Rotman Morning & Evening MBA or Master of Finance programs, you’ll have access to Interview Stream. It’s an online video interview practice tool that allows you to simulate a job interview by responding to pre-recorded interview questions. This entry was posted in Careers, Master of Finance, Morning & Evening MBA, Morning MBA and tagged Interviewing, Job Search, Tips & Advice, Tuesday Tips on July 15, 2014 by Rotman ME-MBA & MFin.